Its been a interesting weekend. I spent Saturday night at Spaceland with the ever-amazing Rademacher and yesterday I ventured down to Long Beach to check out Avi Buffalo and Wet Cassette – The new project from The Rolling Blackouts which also features The Voyeurs’ Sean Johnson and Jonathan Hylander. Thanks for introducing me to Winter Solstice gents. Avi Buffalo will be playing in LA TONIGHT at The Echo opening Robert Francis‘ Residency night at 9pm. There are big things in store for this band. They are currently in the studio working on a full length debut produced by Aaron Embry of Amnion. Surfing On Steam has video of Fleet Foxes performing on Saturday Night Live this past weekend. Also be sure to check out his first SOSMIX. Includes music from Animal Collective, VoicesVoices. and Sundelles. 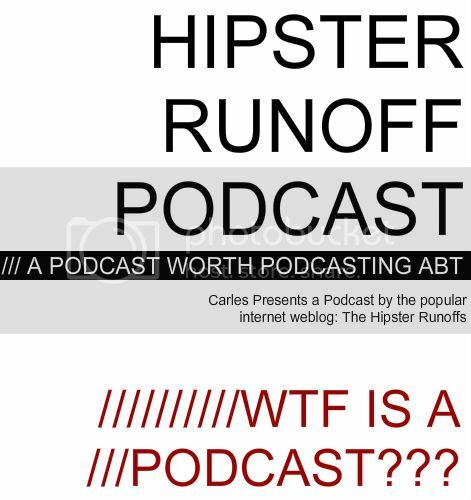 Hipster Runoff just started a podcast because he was “looking for a more meaningful method of ’self-expression’ than just blogging.” You can download it here. Web In Front has more Indie 103.1 Drama. I’m really sad Indie is gone but as someone who has been through TWO mass layoffs and corporate restructuring I really can’t stomach it. I spent almost 2 years being bummed after Capitol went down in flames. The best thing everyone can do is move on.